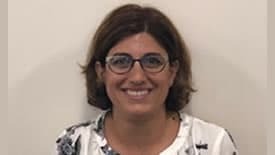 Amal Khoury, an assistant professor in the Department of Global Studies, will present “The Middle East: Regional Disorder” as part of the 2019 Great Decisions Lecture Series. This free, public presentation is scheduled for 6:30 p.m., Wednesday, Feb. 13, at the International House, 1817 Central Ave. The Office of International Programs coordinates the annual Great Decisions Lecture Series for the Charlotte community to discuss foreign policy issues selected as pressing by the Foreign Policy Association. The series is coordinated in collaboration with Charlotte Country Day School, International House and the World Affairs Council of Charlotte. Online registration is requested.